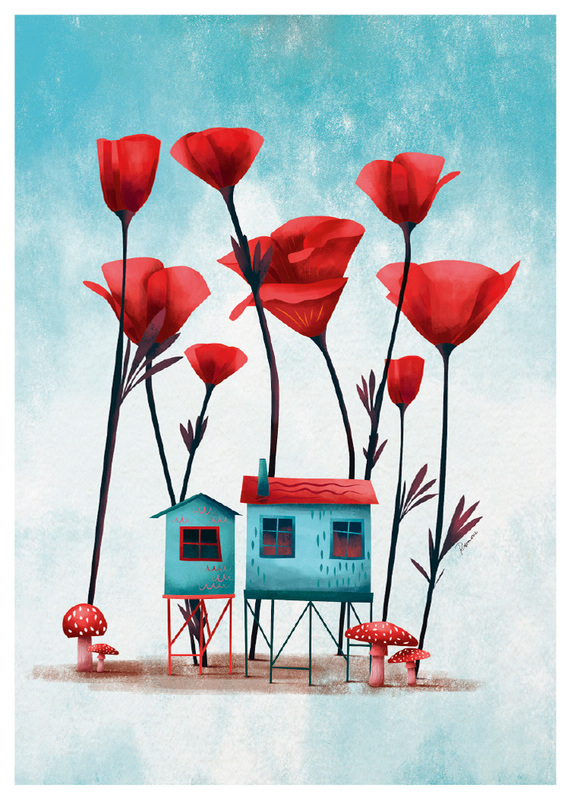 In an imaginary world we find the colorful little houses nested between flowers tall as trees. 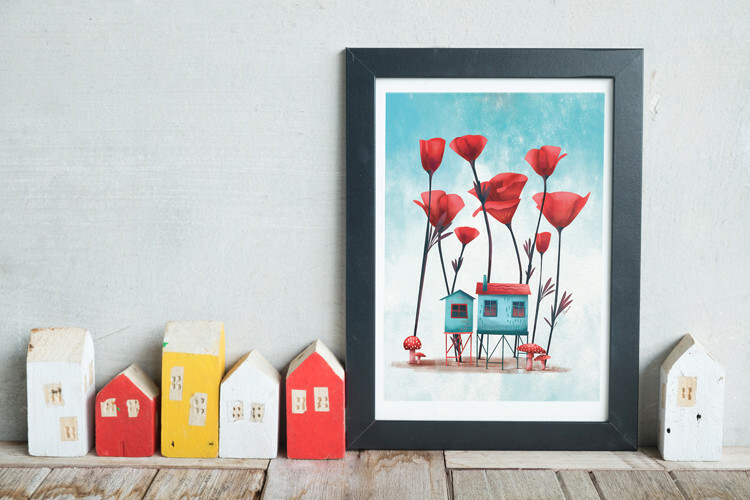 Eye-catching, illustrated poster for children or adults by talented Rosemarie. 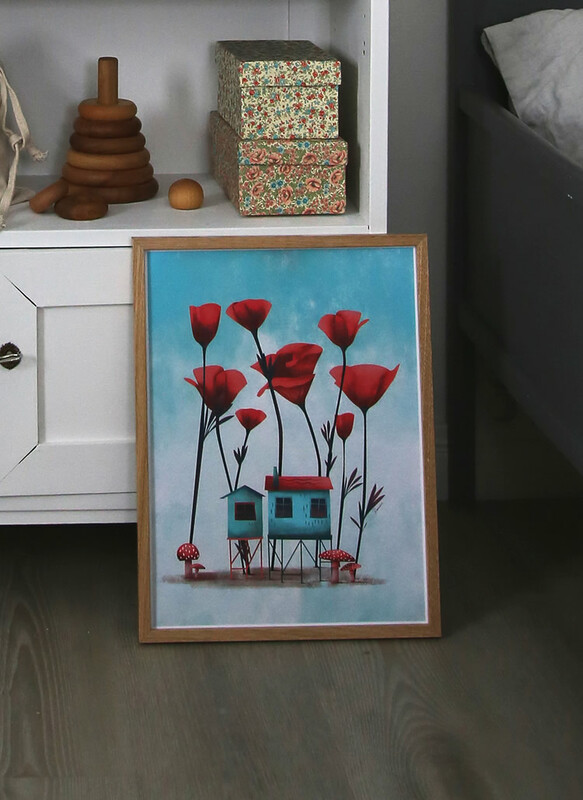 A print in a personal style that works so well when decorating children’s rooms full of expressions and colors. 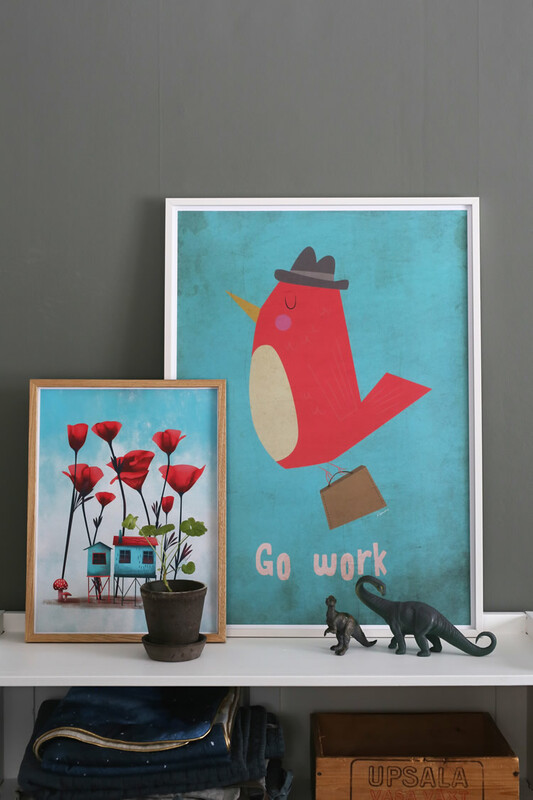 Combines nicely with other children’s wall art, posters or in a composition with other art pieces.